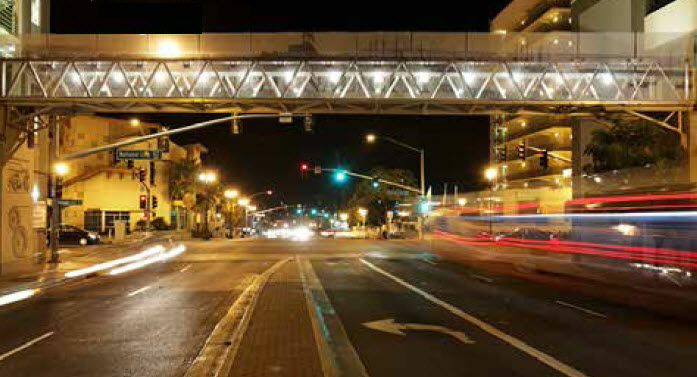 Design of an aluminum skywalk measuring 85 feet. 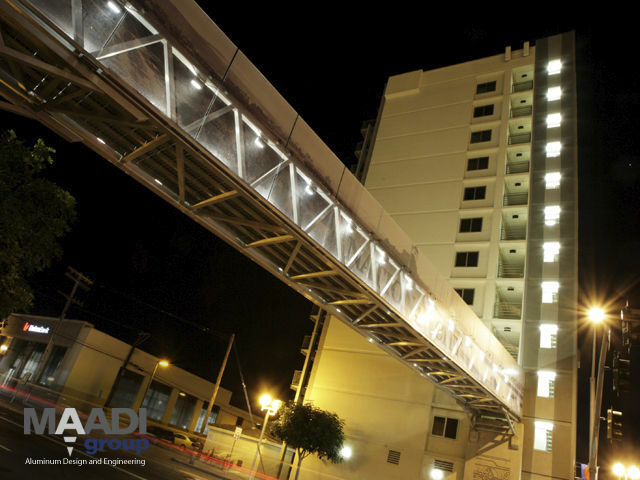 Located in San Diego, California, this pony truss style bridge was installed in December of 2007, linking an apartment building with it's parking garage. aluminum walkway / pedestrian SYDNEY, N.-É.